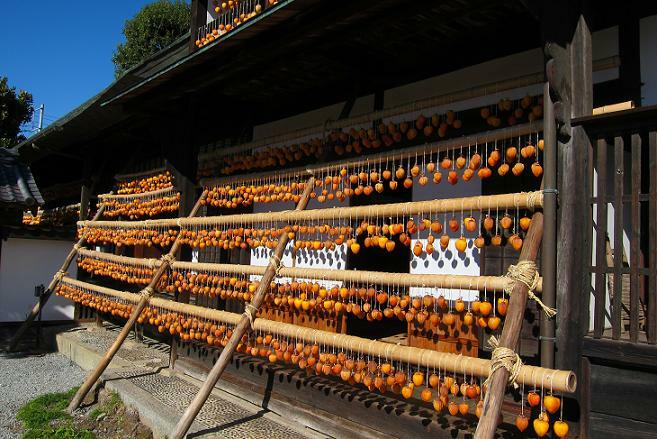 “Hoshigaki”, also known as “korogaki” or “tsurushigaki”, which is made by dehydrating an astringent persimmon, is a kind of dried fruit tasting very sweet. Hoshigaki is made not only in Japan but also in China, Korea and Taiwan. This is eaten as a preserved dessert in winter in Japan. On the other hand, the people in the other three countries make it mainly for a medicine or tea. This sweet is widely produced throughout Japan, especially in Gifu and Yamanashi Prefecture. Many hoshigaki dangling from the eaves of farmhouses are familiar rural scenery early in winter, as shown in the first picture. 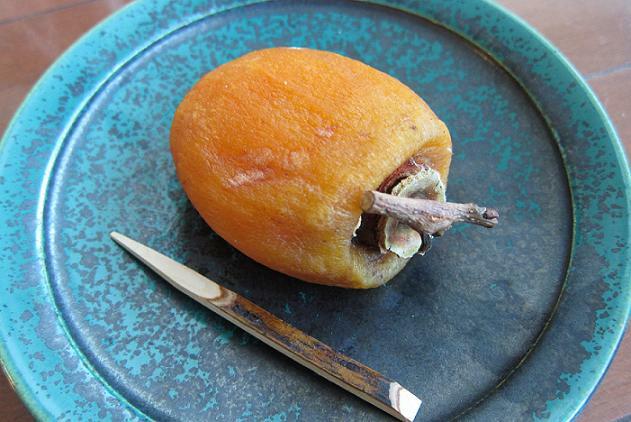 Hoshigaki, strictly speaking, is classified into many groups according to the degree of dryness and the types of persimmon. The hoshigaki in the second picture, which is the specialty of Enzan, Yamanashi Prefecture, is not well dried so that a jellylike texture with very sweet taste can be enjoyed going with Japanese tea.